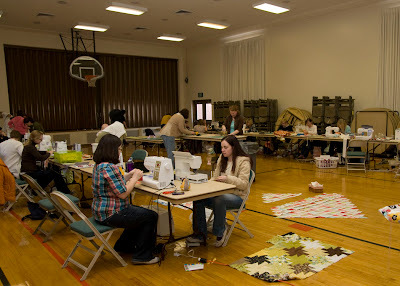 We had a Sew Saturday for Modern Quilt Guild this weekend which is always a great time. I never get as much done as I plan on, but it's great to have a few free hours to sew, chat, and eat with friends. Amy made great progress on Hello Kitty. Brooke brought her little girl to the party. 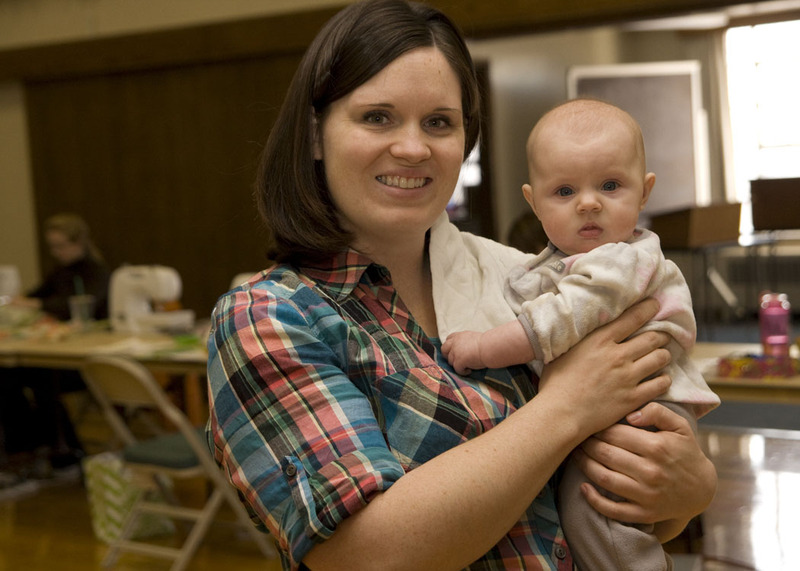 We start them young in our quilt guild. I sewed two bee blocks during our sewing time. I made this block for Lee from Freshly Pieced using her tutorial. She asked for beachy tones. I am really liking the color scheme. 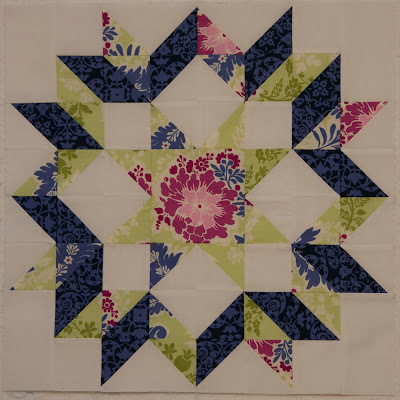 I also finished up this 18" carpenter block for Cherie from Sew and So Quilts using her tutorial. Finally, Sunday afternoon when all was moderately quiet around here, I made this bee block for Rachel using this tutorial from Parfait Cafe. This was a pretty tricky block and took a lot of focus. It was a great challenge. I don't know that I would have chosen to make it otherwise. That's the great thing about bees. That Parfait Cafe block is gorgeous and you are so BRAVE! 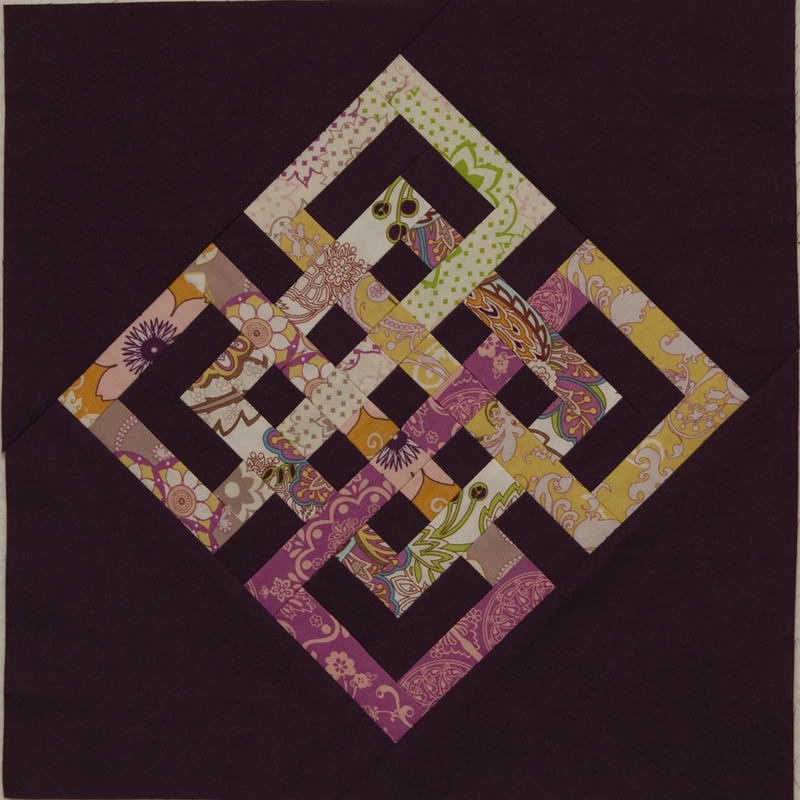 I don't think I have enough quilting courage to attempt something that complicated (looking anyway). Well done! That last one looks like quite the block. Trying to visually interweave all of those fabrics. Beautiful blocks. Maybe I'll have to make it to one of these sewing Saturdays. Looks like fun! Looks like a fun sewing day! I love all of your bee blocks. I've got that parfait block on my list, I love it! Wow, I can't quite imagine how that last one was out together. It looks awesome! 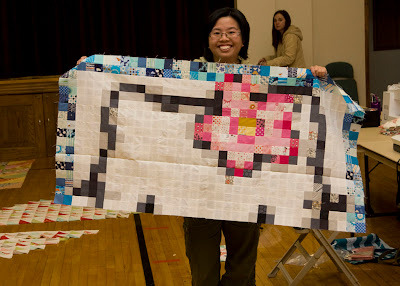 Your quilt guild looks like a blast. That final Bee block is completely awesome!! Wow! I am looking forward to Amy's QAL - mini Hello Kitties for the twins! 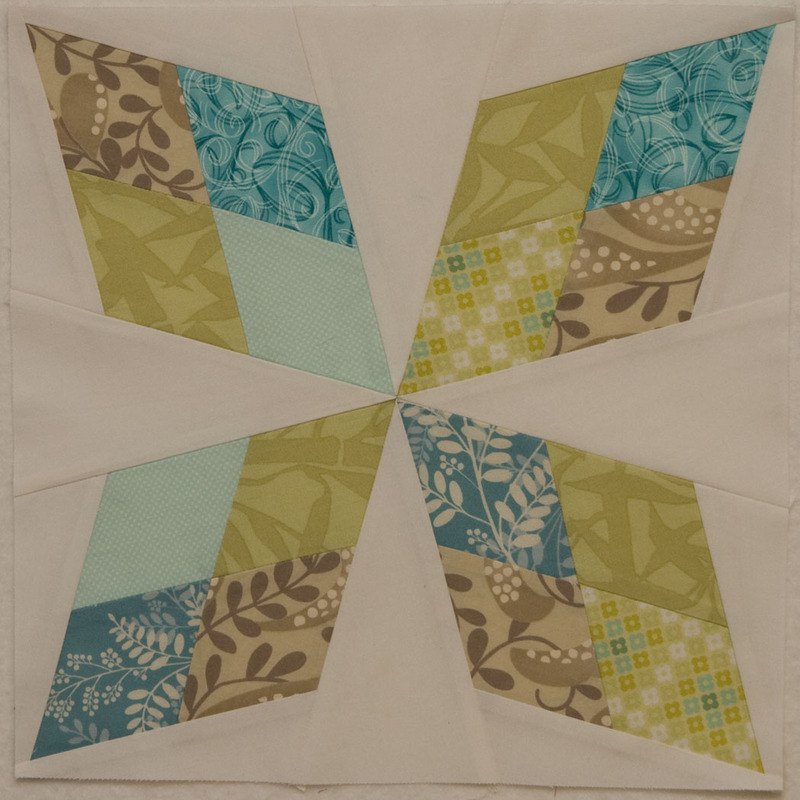 Your Arkansas Traveler block is gorgeous! Thank you thank you thank you! I'm so excited to put this quilt together, my sister is going to LOOOOVE it. The last block is amazing! Looks like it was worth it! Looks like a great weekend, that last block is amazing! Great job on those bee blocks! I've long admired Madame Parfait's blocks but have yet to try one! I love the knot block at the bottom. I will definitely have to try that one! I love that about bees as well. 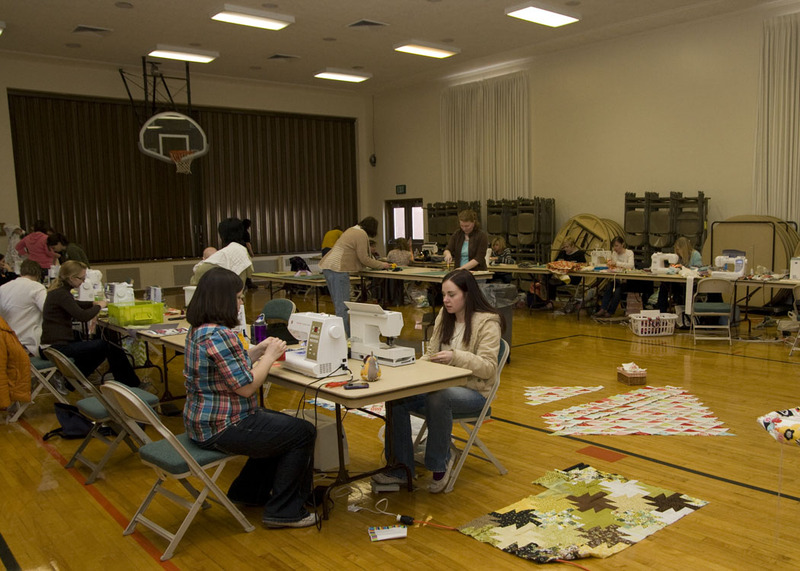 It really gets you to try new things :) Love those church gyms for some good old sewing times :) Wish I could come up and sew with you ladies. Looks like a ton of fun!! I was just thinking of rachel's block. . . but it looks really hard, i think you're right I need to just focus on it. I might actually be caught up with my local bee blocks OMG-moment. I love that you're in my bee btw - your work is so freaking awesome! Your bee blocks look amazing, though! Wow! Your blocks are really very beautiful, you are in great bees! I've made all of those blocks I think. lol Don't you love how small blog world is? That last block nearly did me in...But I was proud of it in the end! I absolutely love those blocks! I've just finished my second EVER quilt and am looking for some inspiration for a third, I think I may have a go at some of those blocks first, they are stunning. The blocks are wonderful. I like each of them. I just wonder how you manage to be so fast. I think in this time period I might have gotten to make one block and cut fabric for another. But not more. Am I too slow? Love those blocks! My favorite is the one from Parfait Cafe. I'll have to give it a try. Thanks the inspiration! All beautiful blocks! That last one is amazing. Great bee blocks! Your Parfait Cafe block is just stunning, and I love the colors in Lee's block! Wow! Those are some really impressive blocks. Thanks so much for sharing!